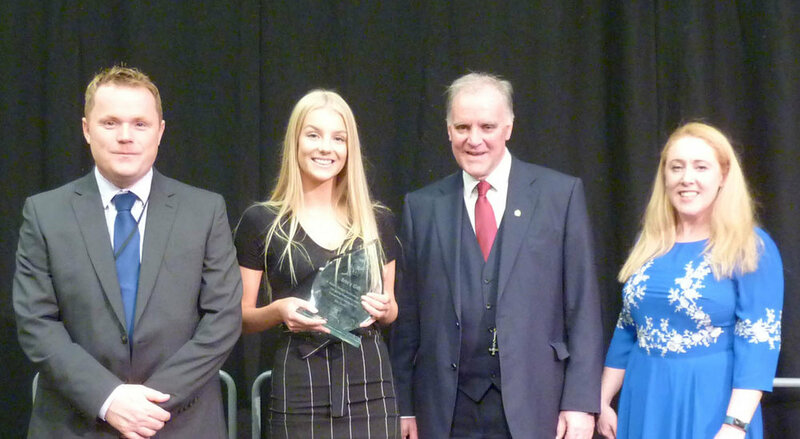 The outstanding GCSE results of St. Mary’s were last week celebrated at the annual Year 11 Achievement Evening. This year the school recorded superb GCSE results with 64% of students gaining grade 5 or above in both English and Maths GCSE and 85% of pupils achieving grades 9-4 in English and Maths. The average attainment 8 score was 56. Guest of Honour on the evening was Mr Bob Lavery, who was Chair of Governors at St. Mary’s for many years. Mr Lavery is currently a Director of the Bishop Wheeler Catholic Multi-Academy Trust, having been involved in its establishment from the outset. Mr Lavery presented GCSE certificates and Subject Awards. The evening was a wonderful celebration where the community shared in the outstanding achievement of St. Mary’s students. Music on the evening was provided by Samuel Clifford-Hassan and Samuel and Matthew Speed.